1 to 3 year term with an option to renew (for a term) equal to or more than the original term. 3 to 5 year term with an option to renew (for a term) equal to or more than the original term. AED/sqft/annum on net leasable area. May include service charges. Landlords will typically require a break clause to be supported by a 3 to 6 month notice period, often accompanied by a penalty. 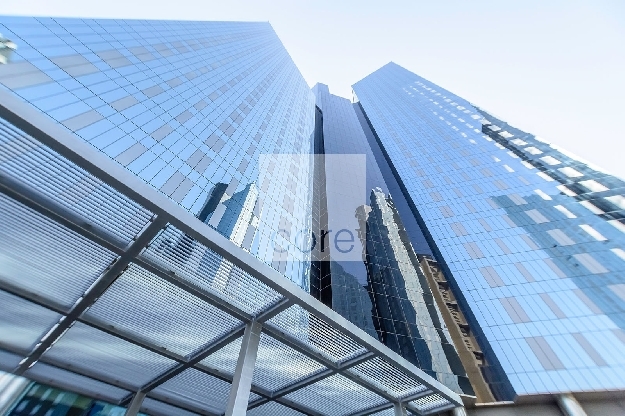 Ranging between AED 500-2,000 responsibility of the Tenant. Usually a predetermined amount agreed in the lease agreement. Structural & MEP is the responsibility of the Landlord. Service charges in a Grade A building typically range from AED 20-35 AED/sqft/ annum. Service charges paid by the Landlord. Rent and service charges are segregated and paid by the Tenant. • Legal and other professional fees PM, technical due diligence. • Utility connection and consumption/ services, for example IT. Typically annually, however can vary from 1-4 payments over the year. Rent normally escalates annually in line with CPI. Renewal escalation in line with RERA rental index regulations. Typically at the end of the contract term. The area quoted is known as net lettable area. This comprises net area excluding walls, structural columns and common areas. 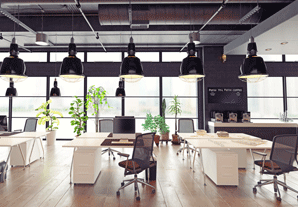 The tenant usually undertakes the fit-out with their own contractors. Design approvals by the local regulatory body. Some landlords provide fit- out allowances or rent-free periods, typically ranging between 2-6 months depending on the lease term. *The above information is intended to be used as a guide only, and may vary relative to normative market conditions. The above information is for marketing purposes and does not constitute advice. Use the CORE Office Space Calculator to calculate how much office space you will require.